GlycoFlex Feline Hip and Joint Supplement is a clinically proven formula that helps cushion joints and alleviates everyday pain caused by normal activities. Your cat needs to climb, leap, run, and pounce! It is their naturally instinct to survey their territory, so keeping their joints fluid and pain-free is a top priority. 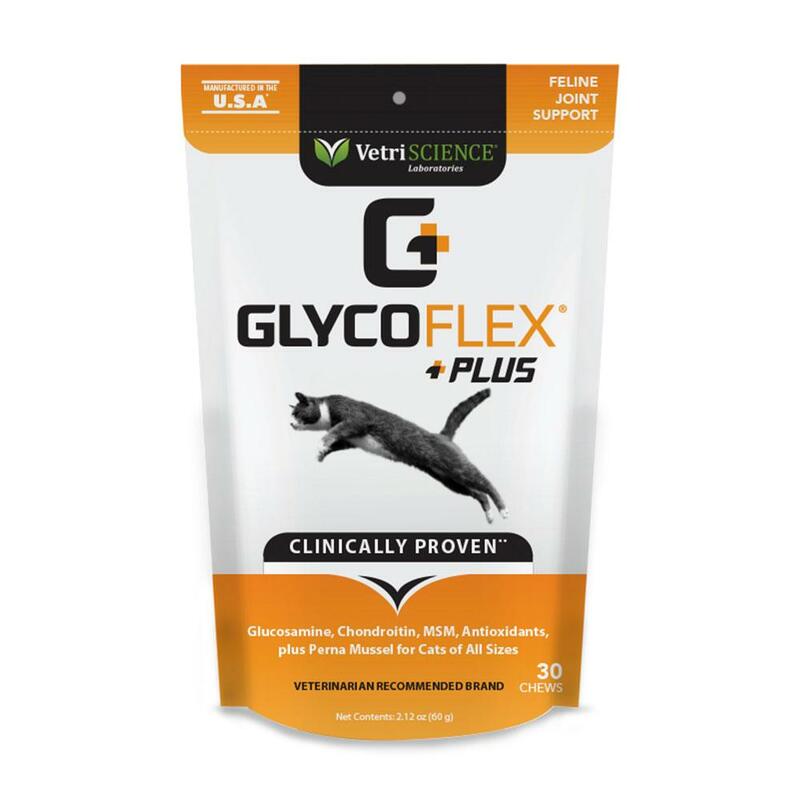 The advanced ingredient combination of Perna, glucosamine, MSM, chondroitin, DMG, vitamin C and antioxidants means Glyco Flex provides support for your cat's overall comfort and mobility. This unique chew also promotes cartilage building, and is a great choice for a rehabilitation chew. Glycoflex cat chews can be given to any size cat. Arabic gum, brewers yeast, calcium sulfate, canola oil, citric acid, citrus pectin, fish meal, glycerin, maltodextrin, mixed tocopherols, propionic acid, rosemary extract, silicon dioxide, sodium alginate, sorbic acid, soy lecithin, vegetable oil, water. 30 chews per bag, 2.12 oz. per bag. Price is for one bag.